While the Woodward Dream Cruise offers something for everyone, there is an obvious bias in the cruising crowd on Woodward Ave and among the many spectators who come to watch the rolling car show towards American performance cars so it should come as no big surprise that the Chevrolet Camaro and Corvette will be among the featured vehicles in GM’s company display. GM will use the Dream Cruise as an opportunity to show the refreshed 2014 Camaro and the all new 2014 Corvette to the masses in an environment that is free to all and with over a million people expected to flood the area around Woodward Ave – the new Camaro and Corvette will see public crowds like never before. More importantly, the 2014 Camaro Z/28 will be among the cars on display so for many show goers, this will be their first chance to see the new Z/28 in person. 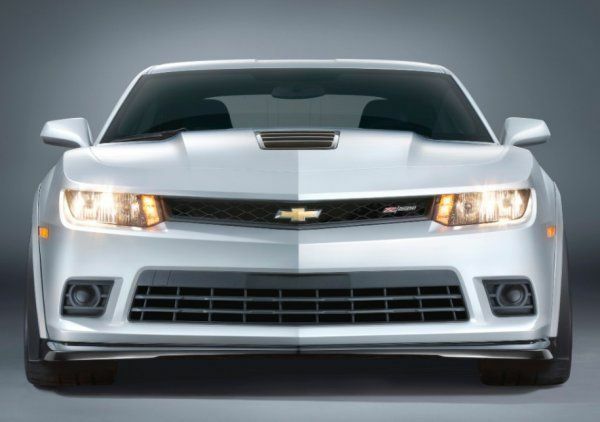 Joining the 2014 Camaro and Corvette will be other new models that are popular with the Woodward Dream Cruise crowd including the redesigned 2014 Chevrolet Silverado, the 2014 Impala and the 2014 SS performance sedan – the car billed as a 4-door Corvette. Joining these new production models will be a collection of classic Chevrolet performance cars including the 1967 Camaro Hot Wheels concept, the 2012 SEMA Camaro ZL1 Smoke Concept that was built for Tony Stewart, the Chevrolet Performance Hot Rod Power Tour “Trip Captain” Suburban concept, NASCAR driver Jimmie Johnson’s 1967 Camaro which is powered by an LS9 crate motor and Helio Castroneves’s IndyCar show car. GM will also show off the V6 and V8 Performance Concepts from SEMA but new features will be added to these cars to show attendees who own a 2013 or 2014 Camaro what new items are available through Chevrolet Performance for the new year. In addition to all of those vehicles, the GM Woodward Dream Cruise display will show off a ton of go-fast engine options for those building their dream GM cruisers including the LSX454R crate engine, the Big-block 572/720R racing crate engine, the Small-block ZZ383 crate engine and the LSA/4L85E Connect & Cruise crate powertrain system along with the Camaro ZL1 brake upgrade kit and the Camaro 1LE Track Pack suspension kit. Finally, GM will feature a few celebrities signing autographs including the “First Lady of Motorsports” Miss Linda Vaughn, Courtney Hansen from SpikeTVs Powerblock and Will Power – driver of the number 12 Chevrolet Penske Racing Indy Car. Linda Vaughn and Courtney Hansen will be available from 11am to 2:30pm while Power will be signing from 12:30pm to 1:30pm. Those who cannot make it to the Dream Cruise can expect to find plenty of images of the event right here on TorqueNews.com!